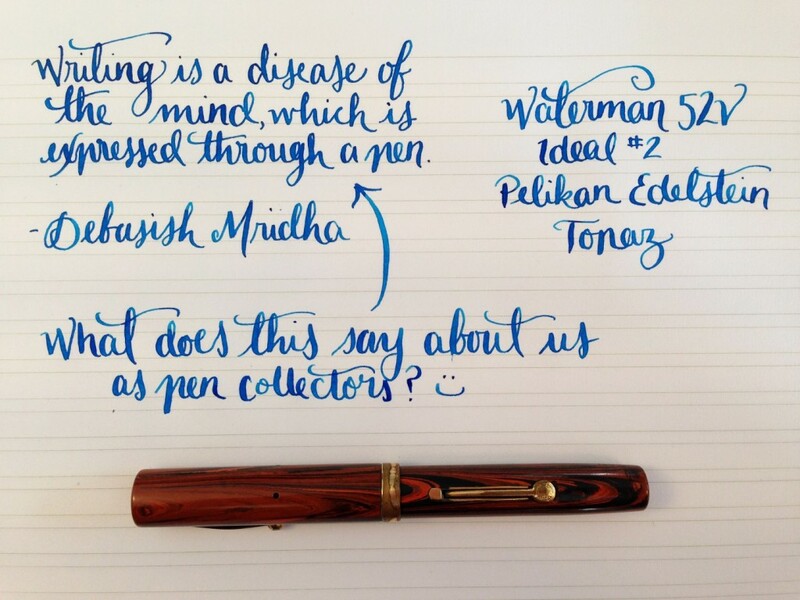 I saw this quote and it made me think about what this could mean for me as a pen user. I’m not a collector. I definitely use all my pens, even the limited edition/expensive ones (call me crazy, but I can’t afford to collect). Also, this is one of my absolute favorite vintage flex nibs. It’s soft, and it flows so well. Hard to beat, and impossible not to love. Do you collect or do you use? Or both? This entry was posted in Vintage Pens and tagged Handwritten Post, Waterman. Bookmark the permalink. Follow any comments here with the RSS feed for this post. Post a comment or leave a trackback: Trackback URL.